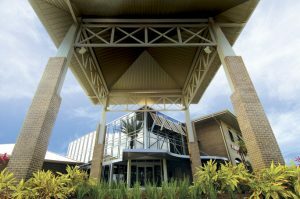 IELOL will be held at the University of Central Florida in Orlando FL in the UCF Fairwinds Alumni Center and UCF Global buildings. 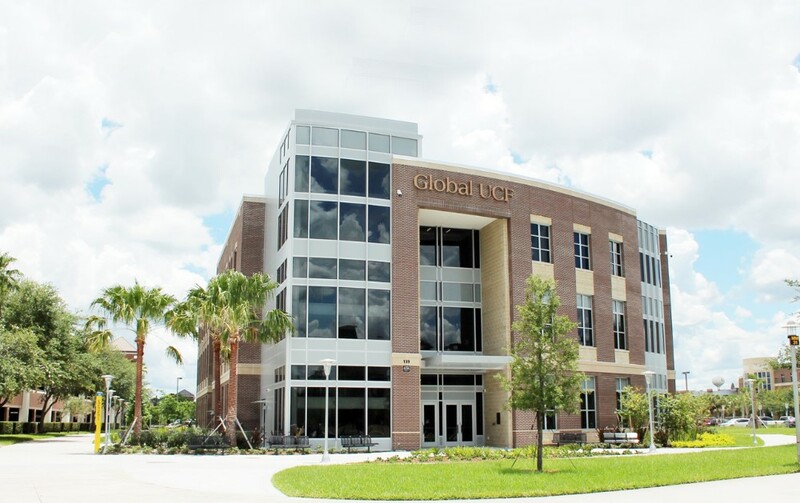 Enjoy a scenic stroll across Memory Mall from the Fairwinds Alumni Center to the UCF Global building. There are a number of ways to travel to Orlando Florida. 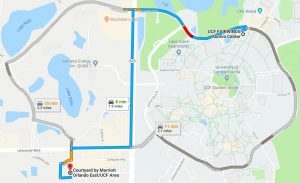 The Orlando International Airport (MCO) is the closest major airport to UCF located just away. Nearly 40 major airlines use this centrally located airport. Service includes nonstop flights to 51 international and 76 U.S. destinations, yielding 800 flights with more than 113,000 passengers using this award-winning airport daily. Of all the airlines that service the Orlando International Airport, here is a list of just a few: AeroMexico, Air Canada, American Airlines, Jet Blue, Southwest, and United. Other airports near Orlando International Airport are: Sanford International Airport (SFB), Melbourne International Airport, Daytona Beach International Airport, and Orlando Executive Airport. From The North: Florida Turnpike South to 408 east OR I-95 South to SR 50 West. Train: Orlando is also connected to many major US cities by train. The major train service is run by the Amtrak, the United States’ national train service, which stops at a station about 2km from downtown Orlando. We are pleased to offer rooms at the Courtyard by Marriott for IELOL. This hotel is located near campus, within walking distance of numerous dining and bar options. The hotel offers spacious rooms, an inviting lobby, and a bistro. Although you will have little time for recreation during IELOL, you may enjoy the amenities: 24-hour fitness center, outdoor pool, and whirlpool. For your convenience, the hotel provides complimentary Wi-Fi, 24-hour business center, and boarding pass printing service. The rooms book fast, so please make your reservation as soon as you are notified of your acceptance to secure your discounted rate. You may also book “wing” nights if staying for personal travel. The special conference rate applies for three days prior to and three days after the conclusion of the meeting. Book your discounted group rate for IELOL 2019. Participants are responsible for transportation from the airport to the hotel. 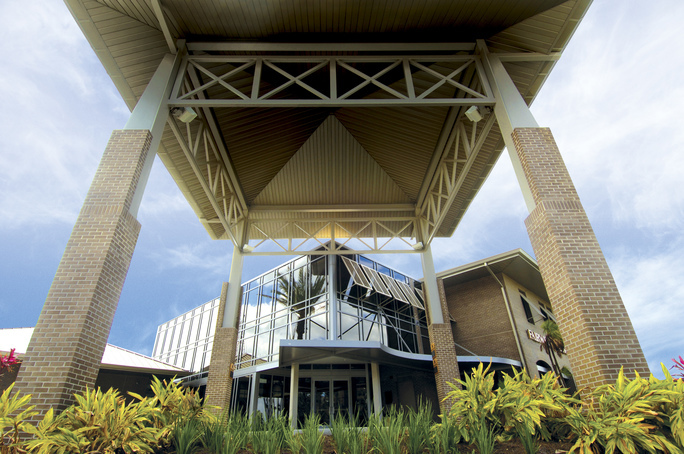 The hotel is about 20 minutes from the Orlando International Airport (MCO). Shuttle and taxi costs from the Courtyard by Marriott hotel to the Orlando International Airport is approximately $60 one way and to Sanford International Airport, approximately $65 one way. Shuttle: Private and shared ride shuttles are available to/from the airport. To book your transportation, SuperShuttle Orlando, or call 1-800-258-3826. Taxi: Taxis are available from the Main Terminal from the airport. If you wish to call ahead to reserve a taxi, contact Mears Transportation Group (407) 423-5566. Chartered Bus: Participants will have the option to take a chartered bus to the Orlando International Airport at a specific time in the afternoon of the last day of IELOL. The Courtyard by Marriott is about a 5-minute bus ride to the UCF Fairwinds Alumni Center or UCF Global building where meeting activities will occur for the IELOL 2019 Program. 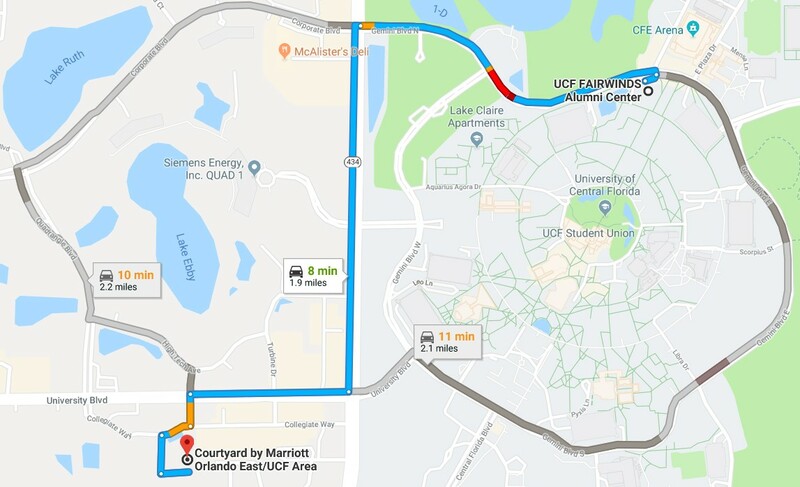 For departure from IELOL, you have the option of taking a bus directly from IELOL at UCF to the Orlando International Airport (MCO) at 1:00 PM EST at no cost. SunRail, the Orlando area commuter train service, currently operates over 49 miles with 16 stations through the Orlando and surrounding areas. LYNX, the Orlando local bus service, provides 80+ routes throughout Orlando and the Orange, Osceola and Seminole counties. To help you get wherever you want to go by bus, the LYNX’s website has a trip planner, maps and schedules. You can purchase a LYNX bus pass online. Rideshare apps such as Uber and Lyft are also operational in the Orlando and can be a great way to get around the city.